Work has begun on infrastructure works which will form a key part of major expansion plans at a County Durham science park. 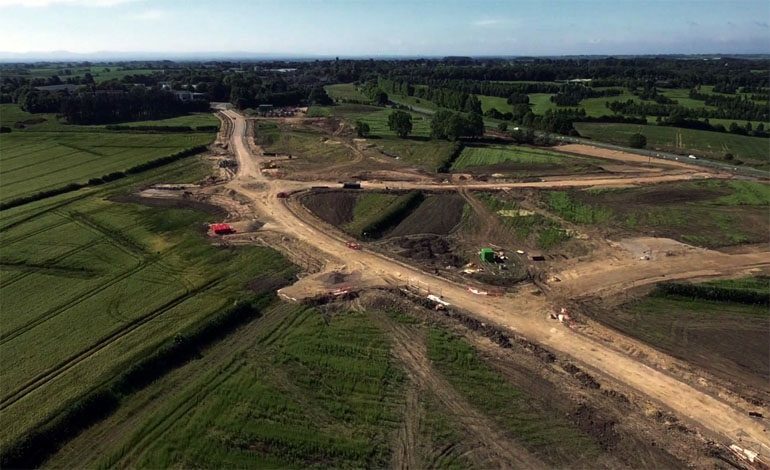 Dignitaries from Durham County Council and the North East LEP are among those who are due to gather today (June 28) to mark the construction of a 1km road which will access a further 26 acres of development land at the North East Technology Park (NETPark) in Sedgefield. Business Durham, the economic development company for County Durham, which manages NETPark on behalf of Durham County Council, also received £3.2m investment from the North East LEP’s Local Growth Fund towards the cost of the two new £7.6m ‘Explorer’ buildings, which are expected to attract more high tech companies to the park as well as providing a home for those wanting to scale up. It brings the total investment to £12.6m. Carl Marshall, Cabinet member for economic regeneration, said: “The start of the infrastructure works marks another exciting stage in the NETPark development and we are confident that even more businesses will be able to grow and flourish as a result of the expansion. Hans Moller, innovation director at the North East LEP, said: If we are to create more and better jobs for our region, then we need critical infrastructure that will support the growth of sites such as NETPark and help meet the needs of our innovative and ambitious high tech companies.